Lt. Gen. Bruce T. Crawford will be the keynote speaker for the commissioning. Distinguished 3-star Army Lt. Gen. Bruce T. Crawford of the Pentagon will assist JSU’s Department of Military Science in the commissioning of four JSU Tiger Battalion cadets to 2ndlieutenants at 3 p.m. Thursday. The ceremony will be in the College of Liberal Arts with keynote speaker Crawford, who is Chief Information Officer and principal adviser to the Secretary of the U.S. Army. The 32-year veteran is a native of Columbia, South Carolina. 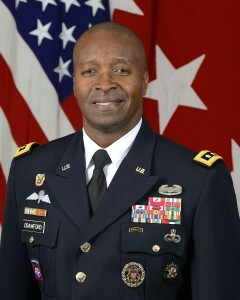 He sets strategic direction and objectives for the Army network and supervises Army C4 functions that involve command, control, communications and computers. He also oversees Information Technology. Upon their commissioning, the new second lieutenants will begin active duty in various geographical locations.